Peace Boat's first voyage was organized in 1983 by a group of Japanese university students as a creative response to government censorship regarding Japan's past military aggression in the Asia-Pacific. They chartered a ship to visit neighboring countries with the aim of learning first-hand about the war from those who experienced it and initiating people-to-people exchange. 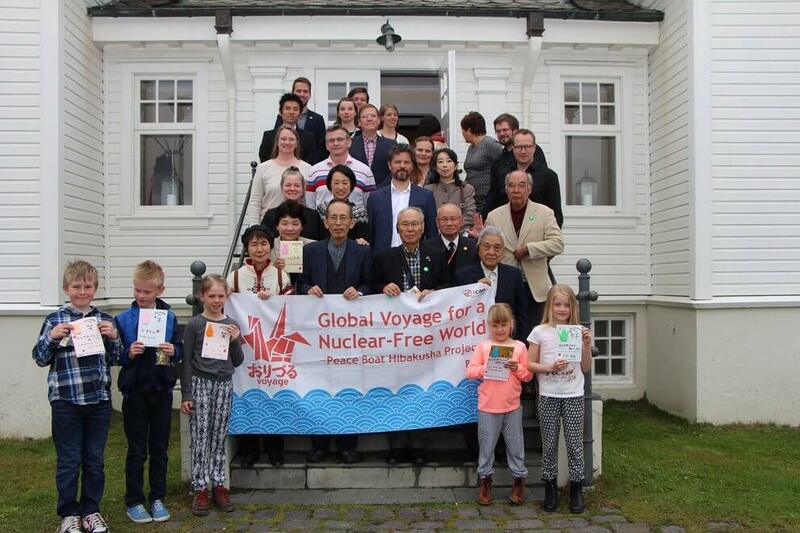 The Peace Boat will be in Reykjavik on 12 October. An open event will take place in the City Hall at 14:00 where surviving victims of the 1945 atomic bombings of Hiroshima and Nagasaki will give testimonies in an appeal for a ban on nuclear weapons and their abolition. The event will take place in Icelandic and Japanese and is open to all. Peace Boat is a Japan-based international non-governmental and non-profit organization that works to promote peace, human rights, equal and sustainable development and respect for the environment. Peace Boat seeks to create awareness and action based on effecting positive social and political change in the world. HÖFÐI Reykjavík Peace Centre thanks Íslenska auglýsingastofan for its generous work on the design for the centre during the preparation period.